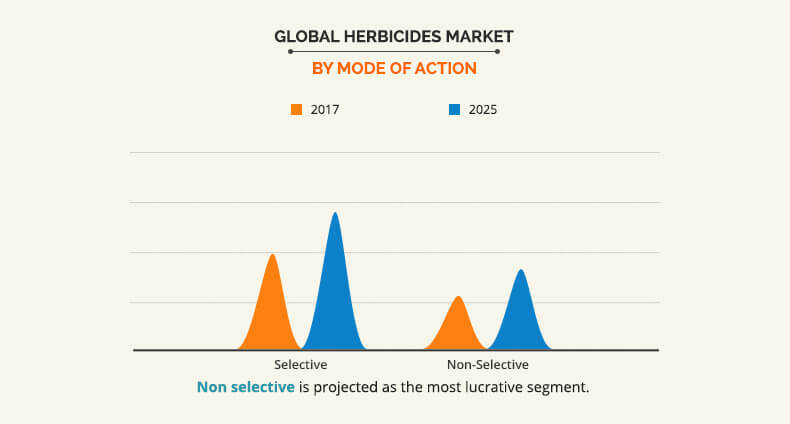 The global herbicide market size is expected to reach an overall market revenue of $7,998.9 million by 2025, by growing at a CAGR of 4.8% during the forecast period. Herbicides are specific category of pesticides used to control unwanted plants during cultivation. Also known as weedkillers, herbicides are of two types, selective and non-selective herbicides. Selective herbicides control specific weed species, leaving the desired crop unharmed, whereas non-selective herbicides can be used to clear industrial and construction sites, railways and railway ridges as they kill all plant material with which they come into contact. The aim of using herbicides is to improve agricultural productivity by killing unwanted herbs and weeds in the plantation. Hence, increase in demand for high agricultural productivity to meet the global food demands majorly drives the growth of the herbicides market. In addition, surge in population and rise in disposable income of a developing region such as Asia-Pacific increases the demand for herbicides. However, the hazards associated with synthetic herbicides lead to stringent regulations on the use of herbicides, which majorly hampers the growth of the global herbicides market. The regulations lead to increase in the demand for bio-based herbicides. To meet the stringent regulations and to improve efficiency of herbicides, major players invest in research and development (R&D) activities to develop new herbicides. Chemical industry is gradually shifting from synthetic chemicals to bio-based chemicals by referring its eco-friendly nature. Biocides is very fast and highly effective product to control over thousands of weed species. Most importantly, it has the potential to control the glyphosate tolerant and resistant weeds by using the existing spraying technology. 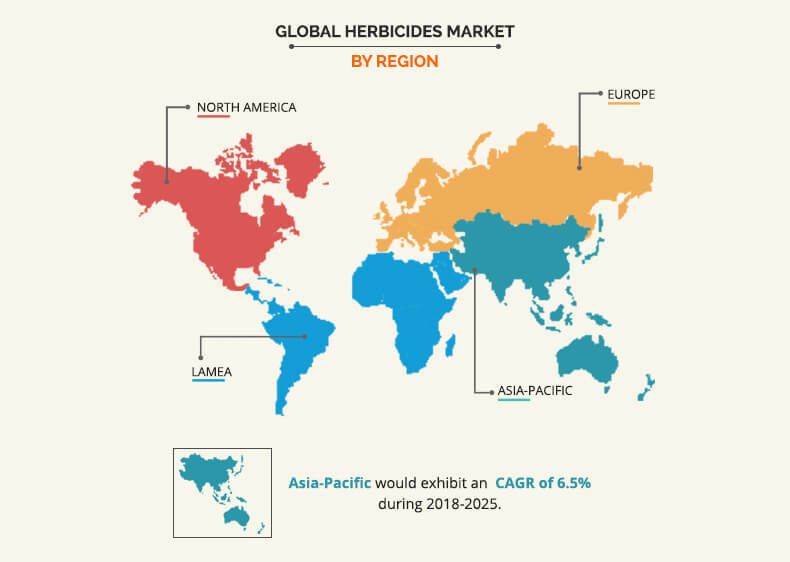 Global herbicide market is anticipated to grow with a constant growth rate during the extended period of forecast (2020&dash;2025) as most of the driving and limiting forces would have sustained effect over the global market. 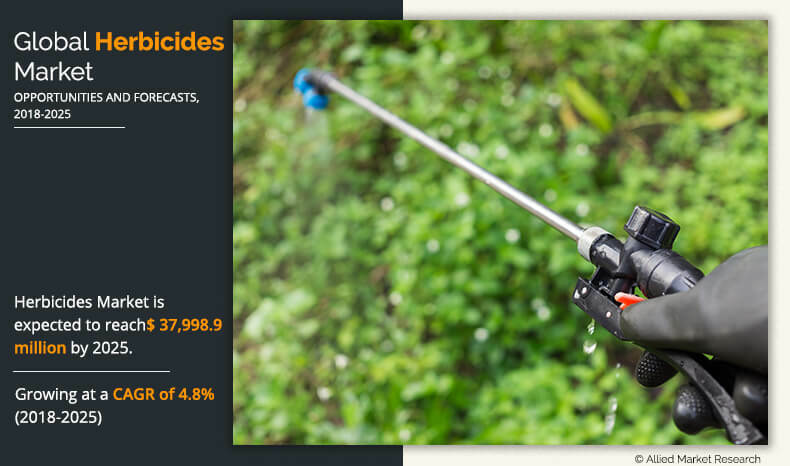 Decrease in number of labors, consequent rise in cost of the laborers, and shortage of arable lands are the major factors that drive the growth of the global market of herbicides. Rapid growth in urbanization creates shortage of labor, due to which farmers are adopting unconventional farming practices to increase the crop yield in less crop cultivable land. However, increase in health and environmental concerns associated with synthetic herbicides restrict the growth of the market. The global herbicides market is segmented based on type, mode of action, crop type, and region. Based on type, the market is bifurcated into synthetic herbicide and bio herbicide. There is an increase in the awareness for alternative methods of weed control and bio-based pesticides owing to rise in health concerns and adverse effects on environment. At present, bio-based herbicide is produced from phytotoxins of microbial or non-pathogenic soil microbes. Bialaphos, Phosphinothricin, and Triketone are among few commercially available bioherbicides that are expected to hold major share in the growth of the global herbicides market. Based on mode of action, the market is categorized into selective and non-selective herbicide. Based on crop type, it is divided into corn, cotton, soybean, wheat, and others. Based on region, the market is analyzed across North America, Europe, Asia-Pacific, and LAMEA. 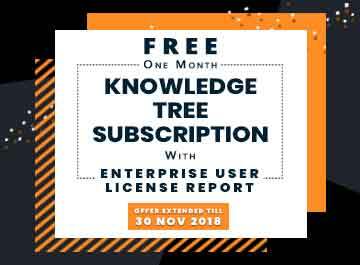 Some of the major players analyzed in this report are BASF, Bayer AG, DowDupont, Syngenta AG, FMC Corporation, Adama Agricultural Solutions Ltd, and Nufarm Ltd. To stay competitive, these market players are adopting different strategies such as acquisition, merger, partnership and product launch. In an instance, the Corteva Agriscience subsidiary of DowDuPont acquired the Clearfield Canola Production System (“Clearfield canola”) in Canada and the U.S. from BASF. Clearfield canola is a globally-recognized non-genetically modified herbicide tolerance (HT) system. This acquisition helped strengthen its agriculture division. 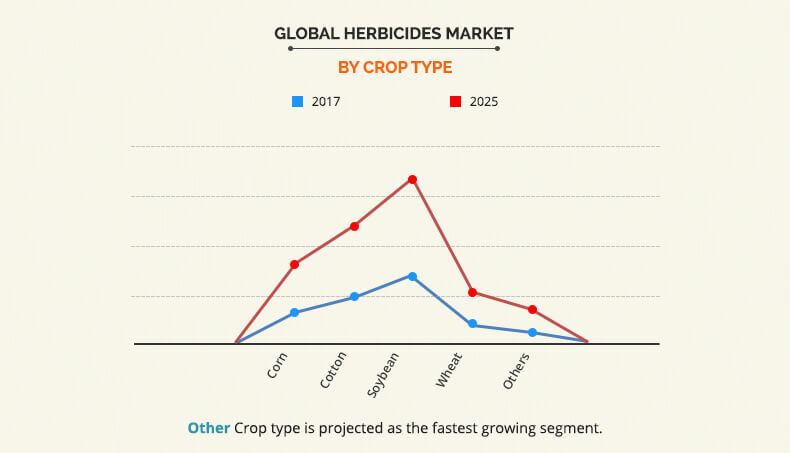 North America is and will continue to be the leading consumer of herbicides till 2025 due to the trend of early adoption of technology in the developed countries of the region. In this region, the application of herbicide is not limited to the agricultural field; it is also used for the weed management in lawns and forests. Considering this North America herbicides share expected to progress during the forecast period. In addition, North America and Asia-Pacific are expected to be the fastest growing markets at a CAGR of 3.9% and 6.5%, respectively during the forecast period. Glyphosate is the highest consumed herbicide in the prevailing market condition and also expected to retain its lead during the forecast period. The global market of glyphosate is expected to grow with a significant CAGR. Being an effective and low-cost solution, glyphosate is largely used in various applications in all geographies. Growers not only use it for weed management, but also for plant growth. The applications segment of non-selective herbicide is more diverse than selective herbicide. In addition to weed management, the non-selective herbicides are also used for sustainable agricultural development. Other herbicides such as orchards & grapes, pasture & hay, rice, and vegetables & fruits are expected to be the fastest growing segment attributed to increase in use for stronger plants, higher crop yields, and higher farm profits. Porter’s five forces analysis helps analyze the potential of buyers and suppliers and the competitive scenario of the Global herbicides industry for strategy building. 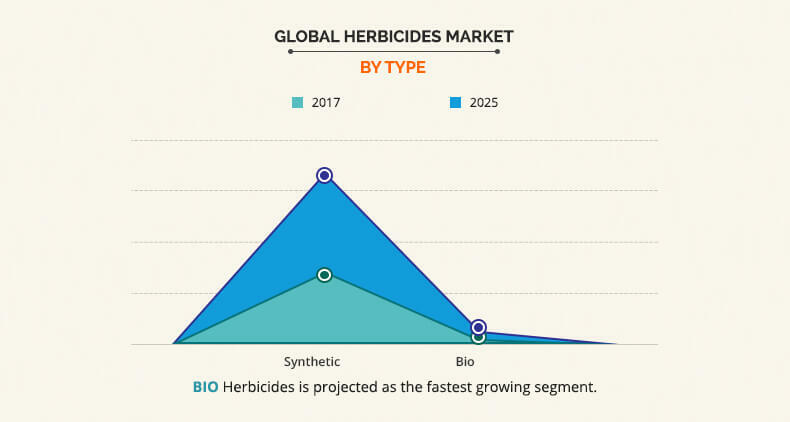 It outlines the current trends and future scenario of the global herbicides market trends from 2017 to 2025 to understand the prevailing opportunities and potential investment pockets. Global herbicide market forecast has been provided by analyzing various macro and micro economic factors. Major countries in each region have been mapped according to their individual revenue contribution in the global/regional market. The key drivers, restrains, and opportunities and their detailed impact on herbicides market analysis are elucidated in the report. The profiles of key players competing in the industry along with their key strategic developments are enlisted in the report. 8.9. SUMITOMO CHEMICAL CO., LTD. The global herbicide market is segmented into product type, crop type, mode of action, and region. Based on product type, the market is further bifurcated into synthetic and bioherbicides. Among the all synthetic herbicides, glyphosate has the largest market share, due to its superior capacity to control GMO crops. It is majorly used in most of the developed regions, such as the U.S. and Australia. However, due to the negative impact on health and environment, the other synthetic herbicides along with glyphosate are also prone to decline in terms of demand in various countries such as Brazil and the European Union. Bio-based herbicides are expected to evolve as an alternative to synthetic herbicides during the forecast period, owing to low toxicity, economical production method, and efficient usage in both organic and conventional farming.